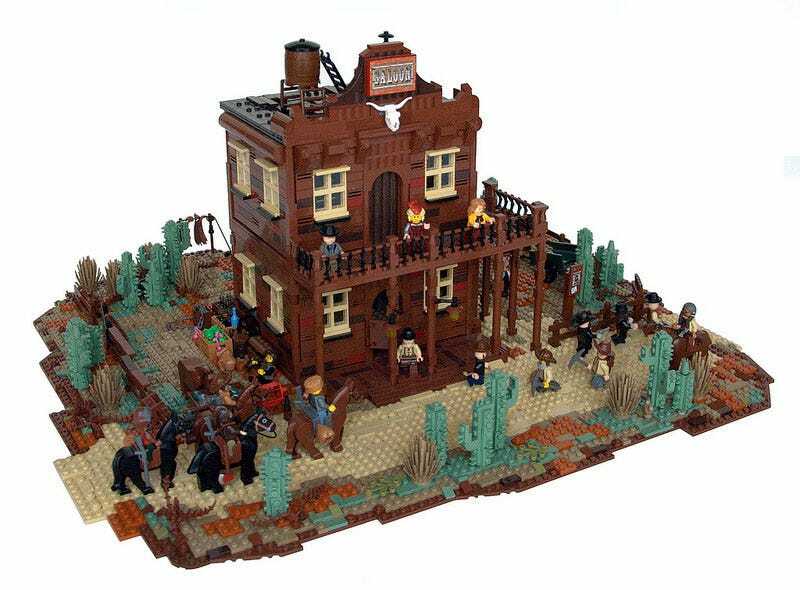 Kris Kelvin has shared an old western saloon that he built on Let's Build it forum. I really enjoy the sand green cacti and all the minifigure detail. This set would fit right in with that Lone Ranger theme that came and went really quickly when the movie tanked.